Check out BLANSH’s LV artist page for his social links, music and other related articles! 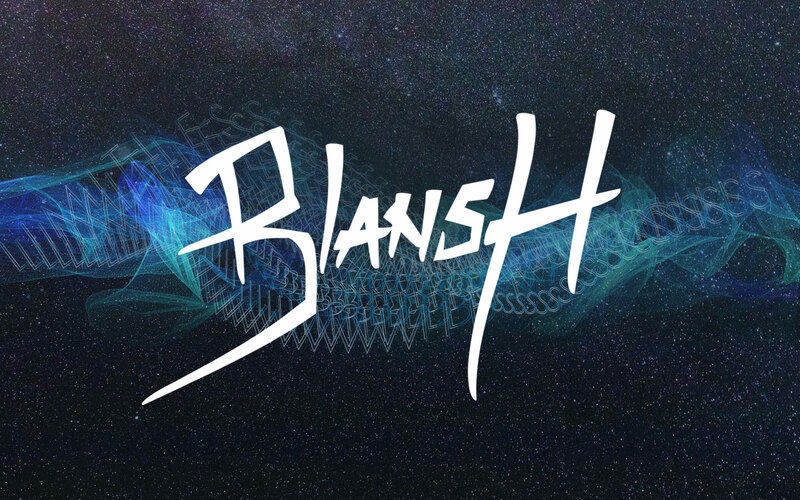 BLANSH is a Canadian producer based in Niagara Falls, Ontorio. He grew up Thunder Bay, Ontario an isolated town 7-8 hours from Winnipeg that doesn’t have much of an electronic scene. Around 10 years ago, BLANSH and his family moved about an hour and a half outside Toronto, where he met a lot of new people … some of whom said “You gotta go to this festival called Velt in Toronto, it’s the first one they’re doing”. BLANSH went and loved it and and when he discovered a lot of the music was made on a laptop, he thought “hey I’ve got one of those, lets give it a shot”. He has been hooked ever since and never stopped. At Velt, the main stand-out for BLANSH was Tommy Trash because he was so good at controlling tension. BLANSH feels this is a skill that has been lost because shorter attention spans have made DJs rush for the drop or chorus. Other influences he found that night were Bassnectar and Deadmau5. BLANSH’s taste has changed dramatically but a lot of what he saw at Velt carries over to what he does now. While BLANSH’s sound sits in the ‘House’ box, it varies by track to cover Bass House, G House, Tech House and more. Regardless of genre though, his sound is dark and he doesn’t think he’s written a track in major in years! Some of the key elements of BLANSH’s sound are ‘wonky’ bass with lots of pitch bends and processing to push simple sounds further. BLANSH doesn’t see his work as musical, or describe himself as a composer but feels he makes up for it by focusing on groove and sound design instead. So far in LV, we’ve seen producers mention the same plugins but BLANSH mentioned a couple of new ones that might be worth your attention! BLANSH comes from a non-musical family. When he was younger, his friends would play guitar and one friend’s dad had a drum kit, so he would hit the kick, snare and hi-hat to a simple 4⁄4 beat, just to be involved. That’s where he learned to count time but he has no knowledge of musical theory and he only start to learn that when he started producing. Rather than writer’s block, BLANSH says he has ‘life block’: life gets in the way of making music. BLANSH has a lot of ideas bouncing around and will capture them in his phone because he doesn’t have a good memory and wants to make the most of his limited time in the studio. To stay creative BLANSH will take transitions or fills from other genres (often genres with a slower tempo) and match them to the tempo he’s working in — he finds this helps him get started and keep moving. Other than electronic music, BLANSH listens to a lot of movie soundtracks: recently he really enjoyed the sound design for Annihilation and felt they did a great job at drawing out tension. Other than soundtracks, he listens to a lot of Rap and particularly the 808 tuned bass is something he draws on a lot. The most notable part of BLANSH’s journey so far was about a year ago when he started connecting with artists that he looked up to — some of them liked his tracks and wanted to play them out at major festivals. That helped him feel he was on the right track. It’s now at the point (and he can’t say too much) where he’s going to be collaborating with them too. He’s really excited about the opportunity to learn and produce an incredible end product. For the rest of 2018, BLANSH just released a remix of Fear by Nitty Gritty on his favourite label Confession. He has an original track coming out on EDM.com’s House Channel in mid-September and also has another track (a collaboration with 13th Zodiac), debuting on Stranger’s Tons and Tons label in early September. He has a lot of other tracks that might pop up in various mixes and IDs and overall he’s excited to see how they’re received. FL Studio is BLANSH’s DAW of choice, just because its the first one he acquired and he has invested a lot of time into learning it. Many people have tried to tempt him to Ableton but he doesn’t see the point of learning something new when he has everything he needs now. For synths or sound design BLANSH mainly uses Xfer Serum — he came from Massive to Serum and the visual interface really helped him to understand the way sounds came together. If BLANSH wants something more analogue sounding, he uses u-He Diva, which he recommends for its warm sound and he also uses the free Noise Makers Siren because it’s very simple to find fresh sounds and melodies from the way it’s designed. If he finds something he likes, he might try and recreate it in Serum. For processing BLANSH uses Polyverse Manipulator (a collaboration with Infected Mushroom) a lot. Intended as a vocal processor, he has found stacking it on Serum leads to some interesting and crazy results … BLANSH also uses FL Studio’s Gross Beat to ‘shuffle the deck’ with a melody he doesn’t feel is working to see if it throws up any new possibilities. We can add BLANSH to the growing list of ValhallaDSP users for their classy reverbs and he also is a big fan of FabFilter’s multi-band compressor and limiter. Firstly he is comfortable with the results he can get from soft-synths, even to the point of using a vintage sounding saturator, or distortion plugin to recreate analogue warmth. Secondly, he sees hardware as a blackhole that artists can fall into, where they start to chase quality over design. For the type of music he makes, he prefers to focus on pushing sound design and feels with hardware you’re limited, unless you do a lot of in-the-box post-processing. BLANSH does feel that artists like Noisa and Dillon Nathaniel do a good job of working with analogue in a G House/ Bass House context but it’s down to the quality of their arrangements. When it comes to making remixes, BLANSH will try to acquire the stems, or if he’s working from the master, he works hard to isolate parts — he has heard a lot of remixes where it was clear they couldn’t remove some parts and they don’t fit and it means he can’t even listen to the track! He will take anything usable and will try to work in the same key to retain some of the feel. His goal is never to go in a whole new direction but to add his own flavour in keeping with the original. For original tracks, sometimes BLANSH is inspired by how a song is arranged and will try to apply his sound design and methods to that arrangement, or simply from an idea for a sound from experimentation. BLANSH will normally start with the drop and then perhaps the first 30 seconds because mixing is simple, as he simply strips away parts to create an intro. For a build-up it varies a lot: sometimes BLANSH wants the vocal to be the focus and sometimes he just wants to build tension. If you have 5-6 plugins on an instrument and those plugins are not for sound design but to bed the sound in the mix, scrap it and start afresh with a new sound, a new note, or a new sample. BLANSH mixes as he goes but he learnt from Bad Computer (whose mix quality he holds up with the greats) not to mix too much and to have everything sit well and sound good before touching an EQ. So, BLANSH now has a rule: if you have 5 or 6 plugins on an instrument, not for sound design but to make it sit, then scrap it completely and try a new sound, or a new note/ sample. Once the track is arranged the way BLANSH wants it, he goes through a process of collecting feedback, taking a break, listening with fresh ears, over and over for a long time, until he is happy with it. Only recently has BLANSH started allowing headroom in his mixes (e.g. -6dB) because it is good practice. In the past he has been able to get quality mixes by mixing into his limiter. He has now started mixing to peak at 0dB and will then pull down the faders -6dB ready for mastering. He tends to master himself because that way he can secure his vision for the track but for labels, they will often want to tweak the track to fit with the rest of their bibliography. Hanz also announced LV’s first competition, to remix the show theme tune (by our very own Deadly Custard) … check out this post for all the details! Finally, Hanz introduced Lyradi, who will be helping LV enter the YouTube realm … her first contribution is a summer recap video, which we will be sharing with you very soon!